With the flowers blooming and the birds chirping, comes a chance to do some spring cleaning to keep your home spotless, pretty, functional, and safe. If you aren't sure of how to go about it, however, here are some tips that can help you get through it efficiently. First and foremost, you should create a schedule for the different spring cleaning tasks you need to get through. This will keep said tasks from becoming too overwhelming and you bailing out on them. To create the schedule, you can divide your home into different sections, and set a date and a few hours to go through each one. If you don't have a smart cleaning system, you may end up putting in more time and effort than needed. This means that you should work on one area without messing up the other areas that you already worked on. To that end, you can, for example, work from top to bottom, or from the inside out. Cleaning your home can come with some dangers. To thwart them off as much as possible, you should make an effort to stay safe at all times. For instance, read the instructions of any products/tools you use. Likewise, use gloves and the appropriate clothing when cleaning. Lastly, if you'll be working outside, wear sunscreen and stay hydrated. If you want to cut down the time you spend on your spring cleaning, multitask whenever you can. For example, you can work on cleaning/flipping your mattress while the bed sheets are in the washing machine. This will ensure that the bed is ready by the time the sheets are dry. What good is it cleaning and rearranging items you don't want/need/like? Make your home feel lighter by de-cluttering. As you clean, go through each item you have in your closets, cabinets, and drawers, and decide if you have a use for it. If you don't, create separate piles to categorize what you'll sell, donate, or throw away. Something that can make spring cleaning less daunting, is to ask others for help. You can reach out to close friends and family, to help you get through everything that needs to get done. Not only will this make the spring cleaning much faster and efficient, but it's likely that it will also make it much more enjoyable. If you understand the benefits of having a spring cleaning, but need professional help to get through your home, call Walker & Frick Construction Co., Inc. DKI in Richmond, VA at 804 282 1281. They are experts who offer cleaning services, fire damage repair, mold remediation, among other services for property restoration in Richmond, VA. It's common for people to leave items where they don't belong. However, if you don't want to waste time and effort returning all of them, start creating piles with the items depending on the area of the house they belong in. This way, you can take the whole pile to that spot in one move instead of going back and forth. Spring cleaning isn't only a chance for you to tidy up your house. It also allows you to inspect areas that need improvement (e.g. you may need to restock the medicine cabinet). To avoid forgetting about these issues, keep a notebook and pen with you at all times, and write them down as you notice them. 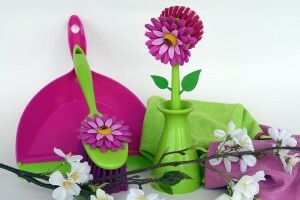 Needless to say, when you spring clean, you need to CLEAN, especially those areas that are usually neglected. Wipe your doors, wash your windows, take care of your garden, vacuum the bottom of your drawers, and more. To have an efficient spring cleaning session and a squeaky clean home, you should take care of every inch of it! Maintaining your home requires more than cleaning. For that reason, during your spring cleaning sessions, you need to provide the repairs certain areas of your home need. As mentioned above, you can write some of them down to take care of them later, but it's also a good idea to tackle the easier fixes to keep your home safe and functional.